Brainstorm, Organize and Present Your Ideas! 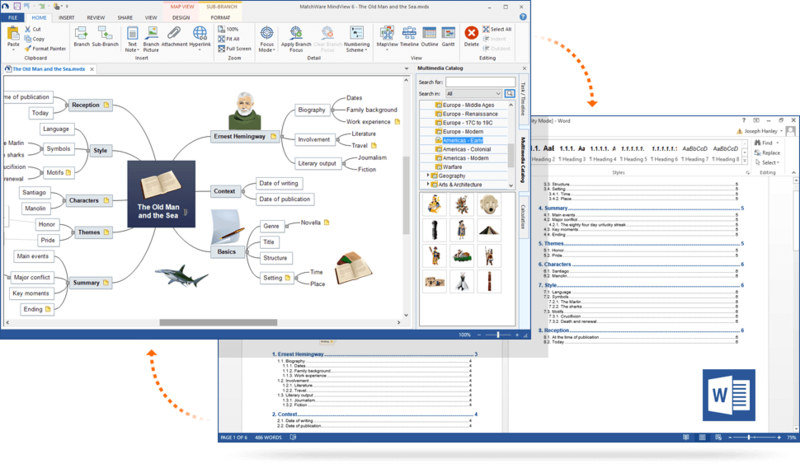 MindView education mind mapping software is a comprehensive visual learning tool designed to help you develop and present your ideas visually and then export into several different formats (Word, PowerPoint, Excel, etc.). 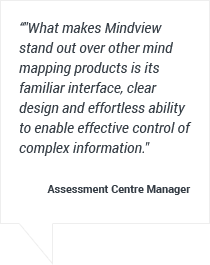 MindView is based on the proven mind mapping theory and enhances creativity, clarifies thinking and improves understanding of the subject at hand. Build the mind map up yourself or choose from a variety of ready-to-use templates, wizards and professional clipart to improve your layout. Once your ideas are complete and organized then Export the completed mind map to Microsoft® Word or PowerPoint. You can even generate timelines and project plans (Gantt view). 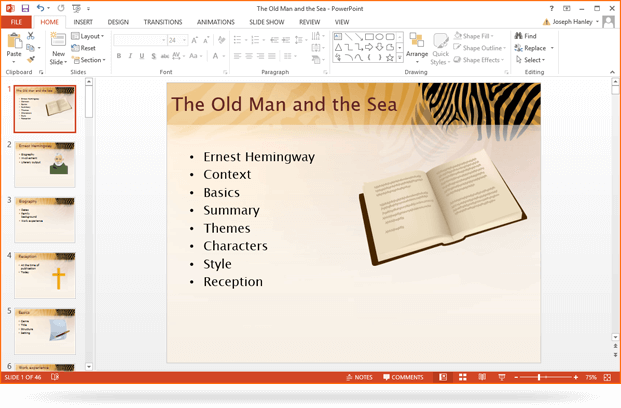 Export to Word or PowerPoint as a linear structure. MindView education mind mapping software allows you to make changes in your Word export and then import those changes back as a new map. Select one of MindView's professionally designed templates and choose to include your text notes, comments, pictures or video files in your presentation. Once exported, you can make changes to your PowerPoint presentation and import the file back into MindView. MindView education mind mapping software allows you to generate citations without having to open 3rd party software. 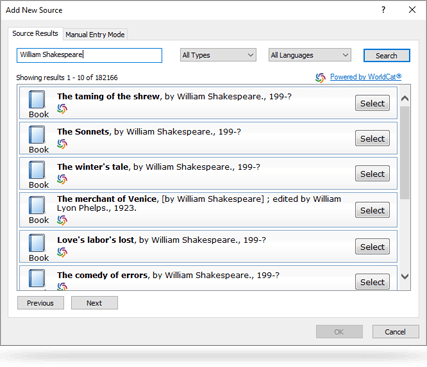 Thanks to a partnership with WorldCat, the online Referencing database, you are able to search for citation information and add it to corresponding quotes directly in MindView. When you export to Word the bibliography is generated automatically and you can choose from a number of different academic styles (Harvard, APA, MLA etc.). 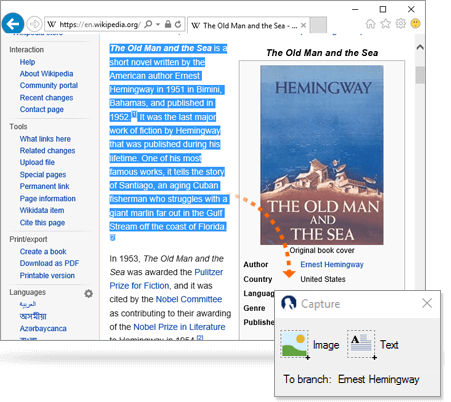 The Capture Toolbar also allows you to capture images and text from online research in incorporate the information in the Mind-Map. MindView saves the appropriate information from these sites for citation purposes. The MindView Timeline view is a great new way of displaying your work. Simply add dates or times to your branches and switch to the Timeline view to see the information displayed along a horizontal time axis. Let our timeline software do the work for you. 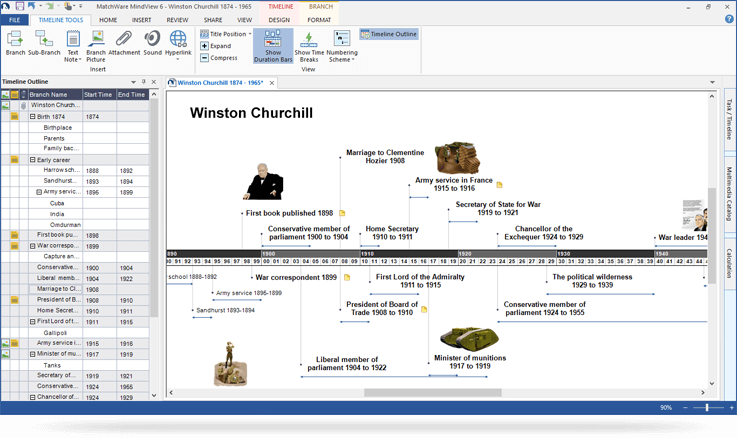 The MindView Timeline a visually effective way of displaying historical information. Add dates or times to your branches and switch to the Timeline view to see the information displayed along a horizontal time axis. The Timeline is also an effective way of helping you brainstorm action-plans and then converting them to a timeline and even a calendar item. This is very useful for planning work visually. The more advanced Gantt view also allows you to take Mind-Maps and convert them to project plans. Try MindView Mind Mapping Software Free!